Describes a range of diseases that affect the heart. This includes blood vessel disease as coronary artery disease; heart rhythm problems (arrhythmias); and heart defects that manifest with birth (congenital heart defects), among others. 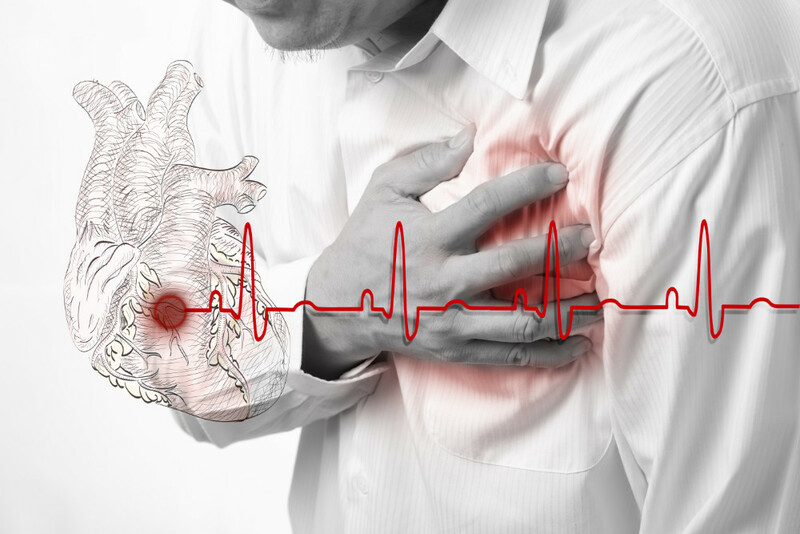 The term “heart disease” is often used interchangeably with “cardiovascular disease.” Cardiovascular disease generally refers to conditions that involve narrowed or blocked blood vessels that can lead to heart attack, chest pain (angina) or stroke. Other heart conditions that are also considered part of heart disease include those that affect the heart’s muscle, valves, or rhythm. Heart disease symptoms will vary based on the type of heart disease you have. These may vary from men to women, as men are more likely to have chest pain; women are more likely to have other symptoms along with chest discomfort as shortness of breath, nausea and extreme fatigue. Diagnoses of cardiovascular disease may not occur until you have a heart attach, angina, stroke or heart failure. Therefore, it is important to watch for these symptoms and discuss the concerns with your doctor. Cardiovascular disease can sometimes be found early with regular evaluations. The heart has four heart valves – the aortic, mitral, pulmonary and tricuspid valves – that open and close to direct blood flow through the heart. Valves may be damaged by a variety of conditions leading to narrowing (stenosis), leaking (regurgitations or insufficiency) or improper closing (prolapse). – Smoking – nicotine restricts blood vessels and carbon monoxide can damage their inner lining, making them more susceptible to atherosclerosis. Heart attacks are more common in smokers than in nonsmokers. – Poor diet – a diet high in bad fats as trans fats, refined salt, sugar, increased cholesterol and lack of proper nutrients can contribute to the development of heart disease. – High blood pressure – uncontrolled blood pressure can result in hardening and thickening of your arteries, narrowing of the vessels through which blood flows. – High cholesterol levels – increases the formation of plaques and atherosclerosis. – Diabetes – increases your risk of heart disease as related to diabetes and high blood pressure. – Obesity – excess weight generally worsens risk factors. – Physical inactivity – lack of exercise is also associated with many forms of heart disease. – Stress – unrelieved stress may damage your arteries and worsen other risk factors for heart disease. – Poor hygiene – not regularly washing hands or establishing other habits that can help prevent viral or bacterial infections can put you at risk of heart infections, especially with underlying heart conditions. Poor dental health (as related to poor diet) may also contribute to heart disease. If you experience any of the following, seek emergency medical care. Heart disease is easier to treat when detected early, so talk with your doctor about your concerns regarding your heart health. Heart disease is one of those conditions that involves many facets of the body. For this reason, we will take a thorough history, assess lifestyle habits that include diet, exercise, sleep, detoxification of the body, medications/supplements, mental/emotional state, stress and lab work to determine what is contributing to the risk factors as well as the overall development of heart disease. Based on the information gathered we will address the concerns with lifestyle changes/modification; address emotional concerns, implement an exercise routine as well as methods as acupuncture, herbs, homeopathy, Emotion Code or others to help restore proper and optimal function. Where possible, we will incorporate a cleansing plan prior to initiating any long-term treatment to rid the body of any physical obstacles (i.e. toxins) that impede greater function as well as improve the assimilation of changes once the plan begins. The treatment plan will be tailored to the individual, with alterations based on how the body responds. It is important that the individual make constant contact with the doctor through follow-up appointments to ensure the progression of the treatment plan as well as address any concerns during this process. Keep in mind that with any treatment option chosen to best fit your individual concerns, it will take time, constant effort and much dedication to helping reverse, regenerate and improve overall health. This will require a lifestyle shift. We cannot expect different results by continuing in the habits that led to increased risks and development of the disease in the first place. At the same time, together with Dr. Leah, you will achieve improved health and quality of life if it is what you desire.